Among my birthday gifts this year were a pair of customizable Nike sneakers. Apparently, if you buy a pair of sneakers on their website, you can choose the colors you want for your laces, your interior lining and, naturally, your swoosh. 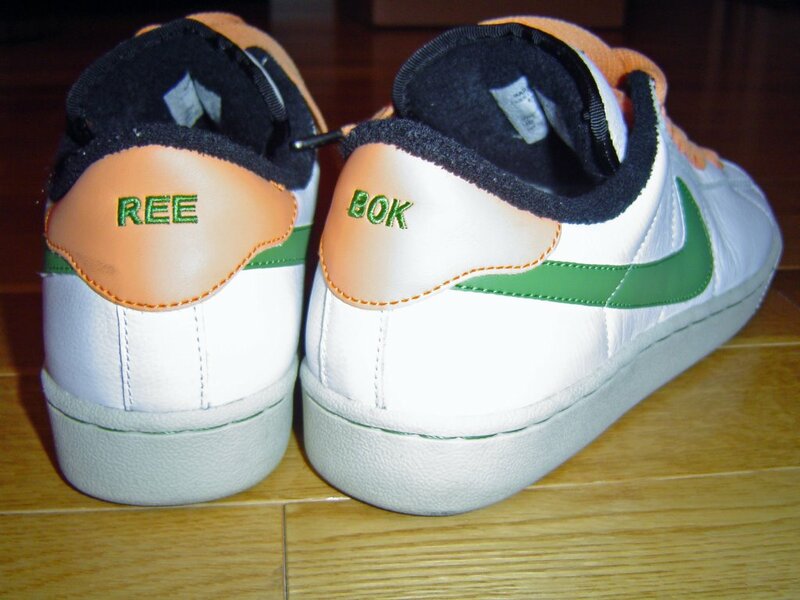 But, more importantly for this story, you can also customize the lettering stitched into the back of the shoe. My friend Matthew correctly guessed that a pair of custom-designed Nikes would be a gift that would put a large, appreciative smile on my face. He even had the perfect words to stitch into the shoes. “Krazy” on the left shoe, “Killa” on the right. Well, it turns out the good folks at Nike have certain standards, and the word “Killa” does not meet said standards. Now, I can totally appreciate a company that doesn’t want criminal epithets, sarcastic or not, emblazoned on their footwear. And I doubly appreciate them scanning not just for the word “Killer”, but for its abbreviated, hip-hop equivalent as well. Matthew couldn’t think of a suitable plan B, so he left it up to me to decide how to personalize my gift. As a result, the present he gave me on my birthday was a picture of some partially-designed sneakers, an amusing story… and, as I saw it, a challenge. When there’s stitching to be done, I’m not the kind of guy who can just settle on something like “Jerry Rulz” and go jogging happily on his way. Knowing that Nike was scanning for words it found offensive made me wonder just what one could get away with, and determined to push the boundaries as far as possible with the pair of sneakers that would someday arrive in my mail. 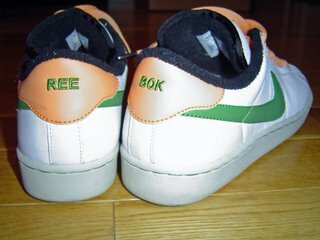 Well, as you can guess, when they introduced this service, Nike thought of just about everything people might want to put on its shoes that it would not want to sully the good name of the Swoosh. I admit, when the words first cleared the search engine, I had my misgivings. Maybe this was just silly and immature. Maybe it was a dickish thing to do. Maybe I was taking advantage of a perfectly good promotional gimmick for no other reason than to see if I could.